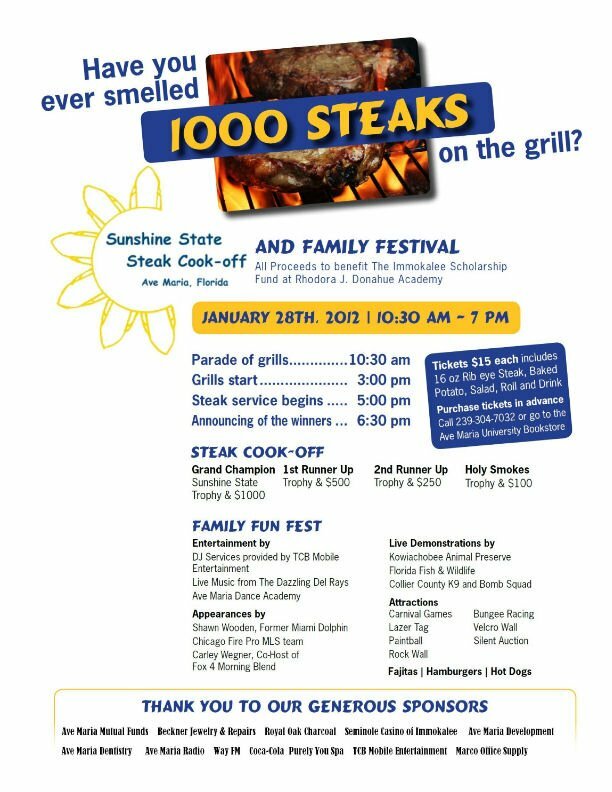 The steak cook-off will be combined with the Family Fun Festival in Ave Maria, which offers games, entertainment and exhibits beginning in the morning of Saturday, January, 28, 2012. The day’s events begin at 10:30 with a parade of grills. Followed by the Family Festival including carnival games, bounce houses, laser tag and more. Local venues including the Kowiachibee Nature Preserve to Nationally known companies including Treering Yearbooks will exhibit at the event. Collier County Sheriff’s will be bringing their K-9 unit, bomb squad and SWAT team. Live music will be provided throughout the day by TCB Mobile Entertainment and the Dazzling DelRays Band will preform between 2:30-6:30 featuring music from the 50’s, 60’s and beyond. Awards Ceremony at 6:30pm. The cook-off awards a top prize of $1,000 to the team that is judged to have cooked the best steak. Steak dinners will cost $15, which includes a 16-oz. boneless ribeye steak, baked potato, salad and a drink. Steaks are served between 5pm and 6pm. 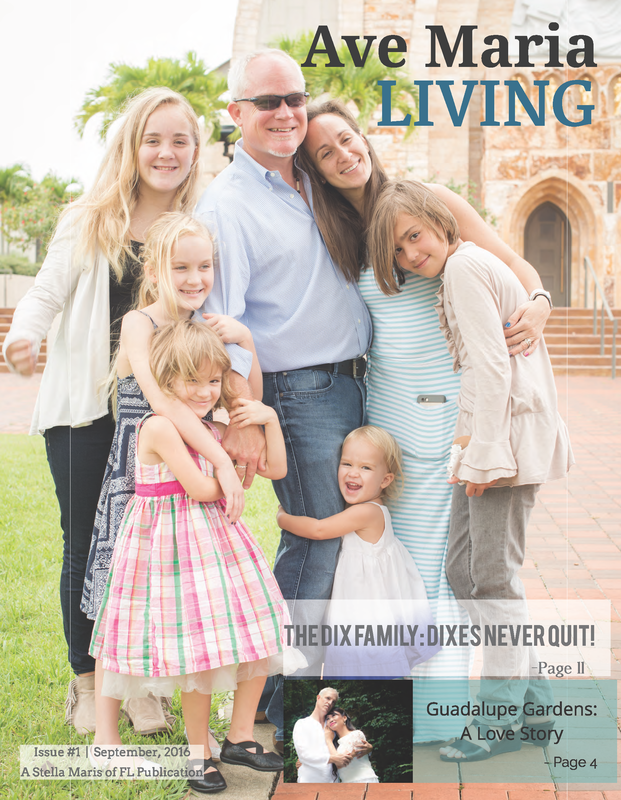 All net proceeds will be used to fund scholarships for needy. Advanced tickets are encouraged. Please contact the school for tickets at (239) 280-2450, or you can purchase tickets in person at the Ave Maria University Bookstore or by phone at (239) 304-7032.